In this collection, Kaffe Fassett presents 20 all-new patterns and collaborates once again with quilters who have become household names: Liza Prior Lucy, Roberta Horton, Mary Mashuta, and Brandon Mably. 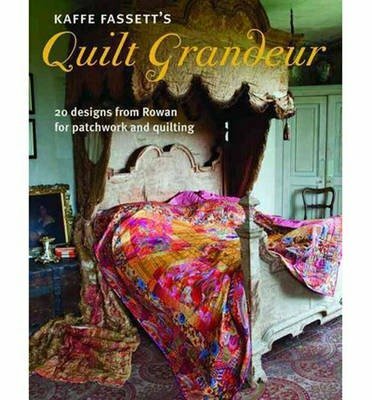 The new quilt patterns are based on Kaffe's signature line of Rowan fabrics, and employ an array of the latest designs. Liza Prior Lucy’s Dreamy Hexagons pattern features Jupiter, an irregular, organic stripe. Kaffe has gone for rich colorways, cut up small, in his Overlapping Squares quilt. New fabrics Daisy Chain, Mad Plaid, Lotto and Trellis and Nets are shown to great advantage in Brandon Mably’s fresh and charming child’s quilt, Paper Dolls. On trend colorways of pink, turquoise, lavender and red are featured throughout the book. Complete instructions for creating each museum-quality quilt are included, along with tips and techniques that Kaffe has gathered in his more than 30 years of experience.